Join us for a seminar on using LinkedIn as a tool to generate leads, acquire customers and career advancement. 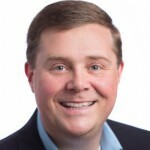 Speaker Mike Shelah began his technology sales career in 1999, where he began building and developing his skills in sales strategy, leadership, networking and public speaking. In 2011, he started to share those experiences as a consultant and in 2015 launched his website. He spends his time with people, helping them become better and finding the leader in them to develop greatness. Parking is available at the Sheraton Garage.